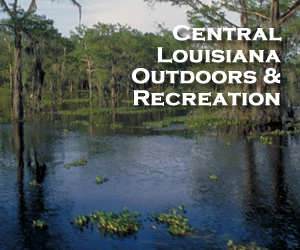 Alexandria, Pineville and the surrounding Central Lousiana area have a variety of outdoor attractions and recreational areas. The Kisatchie National Forest offers many opportunities and venues for visitors to enjoy the beautiful natural scenery of Central Louisiana. Groups can view or stop at recreation areas, view endangered species or geologic sites, or participate in tree identification. The national forest includes Kincaid Recreation Area, Valentine Lake Recreation Area, and the Wild Azalea Trail. Admision fees may be charged. 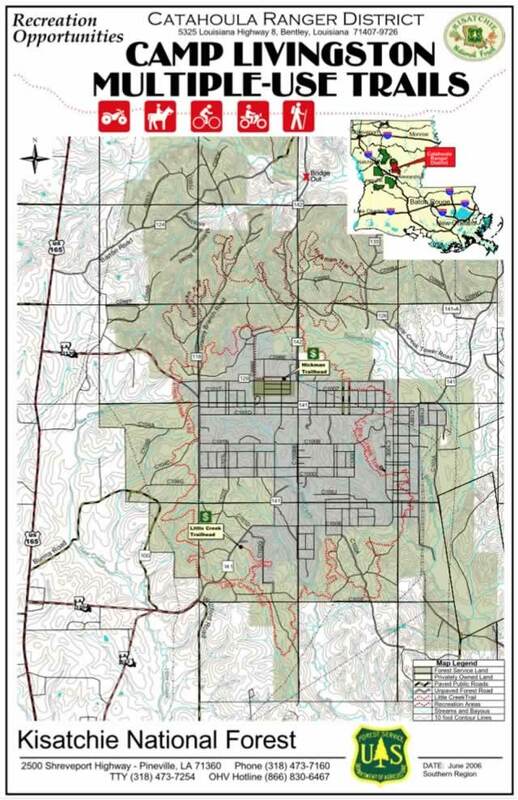 Popular Mutli-Use trails are available at Camp Livingston and Camp Claiborne for hiking, walking, and biking. The main office is located at 2500 Shreveport Highway in Pineville. Phone 318.473.7160 for more information. 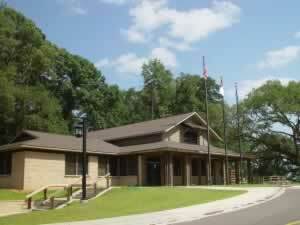 Located on the Red River in downtown Pineville, the Fort Randolph & Fort Buhlow State Historic Site includes a visitor center with exhibits on the Civil War Red River Campaign, an elevated boardwalk around the fort area, with an overlook near the Bailey's Dam site, and an open field for Civil War re-enactments. Forts Randolph & Buhlow were placed on the National Register of Historic Places in 1981. The Fort Randolph & Fort Buhlow State Historic Site includes a visitor center, interpretive areas and walkways. The historic site is open 9 a.m. to 5 p.m., Tuesday-Saturday, and closed on Thanksgiving, Christmas and New Year's Day. A small entrance fee is charged. Seniors over 62 and children 12 and under are admitted free. Phone 318-484-2390 or 1-877-677-7437. The official address is 135 Riverfront Street, Pineville, LA 71360. Take I-49 into Alexandria and take Exit 85A onto 10th Street; visitors exiting from I-49 northbound will turn right onto Jackson Street (Hwy. 165), while visitors exiting from I-49 southbound will turn left onto Jackson Street (Hwy. 165). Cross the Red River, then take the first right onto Main Street, then right onto Riverside Drive, which will take you to the site. Buhlow Lake is a popular destination near Pineville in Central Louisiana for various boating, racing, fishing and recreational activities. Built in 1956, it covers an area of 282 acres. Buhlow Lake is located on the north side of Pineville, bounded on the south by U.S. Highways 165-71, and the Red River to the north. Buhlow Lake has been the site of power boat racing since the 1960s, and is known for its flat, fast race course due to the shallow lake being sheltered from winds by surrounding hills. The City of Pineville has several sanctioned motor boat racing events annually on the lake. It has the distinction of being the location for many world speed records. The lake is often called "The Fastest Lake in the USA". At the west end of the lake is the historic Civil War-vintage Fort Buhlow. The Fort Buhlow Recreation Area is nestled between Buhlow Lake and the Red River. Access to this area is via the Lake Buhlow Road past the Pineville Airport. It features a three lane boat launch, boat dock, picnic shelters, hiking trails, parking, comfort stations, lighted ballfield, disc golf courses, and more facilities. Access to this area is via the Lake Buhlow Road past the Pineville Airport. It is a popular venue for many sports, from bass fishing in the Red River to cross-country track events to disc golf tournaments. For example, the Louisiana D.A.R.E Officers Association’s (LDOA) 5K in support of the Buddy Camp, and the Running Man Dash, have been held at the recreation area. Visitors to Buhlow Recreation Area can take advantage of two woodland disc golf courses. Although shaded by surrounding forest, the fairways are kept trimmed and neat. The Gold 6,483' course contains a number of longer holes including an 846', par 5, along with forested, tunnel holes, and has more elevation than the Purple course. The courses have been the site of the two-day Louisiana State Disc Golf Championship Tournament, and the Red River Rendezvous Tournament. 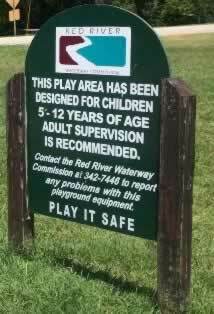 The recreation area is operated by the Red River Waterway Commission. Located near Marksville south of Alexandria is the Grand Cote National Wildlife Refuge, and Lake Ophelia National Wildlife Refuge.